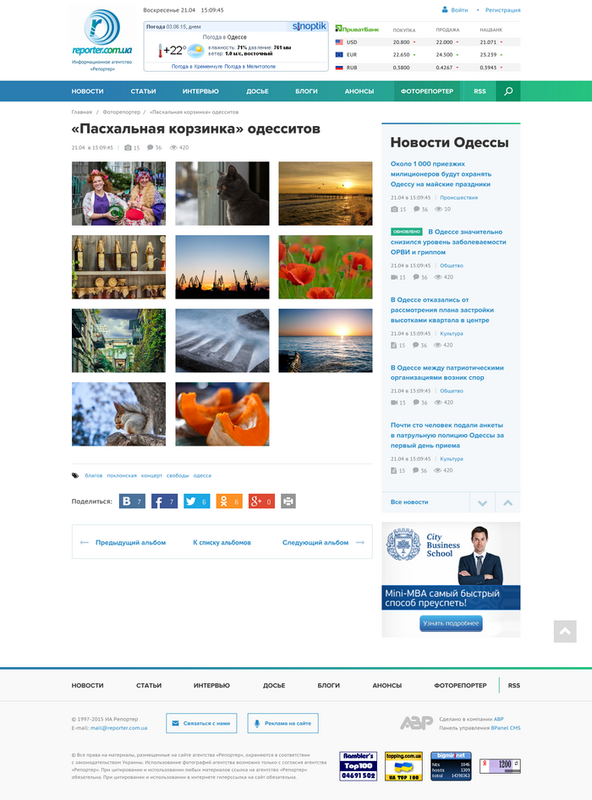 Agency Reporter is an authoritative source of information about the life of Odessa and the region. It is popular information resource. According to independent monitoring Bigmir daily Reporter visited over two and a half thousand residents of Odessa and Ukraine, as well as readers from Russia and the USA. Developed in collaboration with abp.ua.